I told yall Morgan would be back soon! If I could pick one blogger to be my personal assistant and write hilarious, awesomely intellectual yet so witty things to accompany all of my photos then I would without a doubt pick Morgan. True blog love right here yall. Hi Dashboard readers! My name is Morgan and I blog over here about my life with husband. We just moved to Chicago (from Atlanta) for Andrew's career, so right now I play housewife between yoga classes and job interviews. 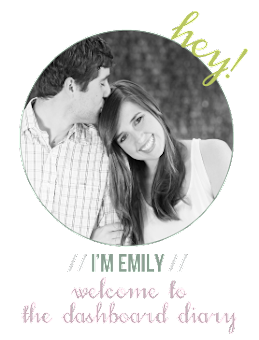 When Emily asked me to write a guest post (my first ever, gasp!) I was thrilled of course. She wanted us to pick our own topics but some starter ideas that she offered were: travel, food, marriage. and frustrated that everyone (but me) had an opinion about where I needed to take my life. Against everyone's better judgement I said "thanks but no thanks" to college (for now) and moved myself to Italy, because adventure was the only thing I definitely knew I wanted. I stayed there until I got homesick (which took several months); that was my sign that I had finally put my priorities into the right order. Needless to say, I have been longing to go back ever since, but I do have a better head on my shoulders these days. While I was living there my brother came to visit for a week in March. In a single week he wanted to see Rome, Amsterdam, and Prague. The amazing thing about Europe is that it is totally possible to do that! We spent a grand total of three nights in Amsterdam and I absolutely fell in love. No, it was not because of the coffee shops....although I do think those play a big role in why everyone there is so friendly and laid back. 1. You can take the most beautiful photograph you have ever taken. Get it framed, hang it up. These are the best treasures from traveling. 2. You can eat the most delicious (and funniest looking) hot dogs you have ever tasted. 3. You can ride a train into the most extravagant train station you have ever ridden into. 4. You can navigate your way using the most expensive city map you have ever bought. Seriously? 2 euro just to know how to get around? 5. You can sit in the company of giants. Or at least in their chairs. 6. You can ride your bicycle everywhere. And you can ride a house boat whenever you are tired of riding a bicycle. 8. ...and walk in the gorgeous park, in the warm sunshine, that very same afternoon! 9. You can see a hilarious American comedy show. 10. And, finally... amongst some of the cleanest streets you have ever walked, you can happen up the most disgusting bathroom you've ever photographed. Don't use it. Thanks so much for having me Emily!! Can't wait to hear about your trips when you get back. amsterdam is one of my must sees. it just seems so relaxed and beautiful. those canals!